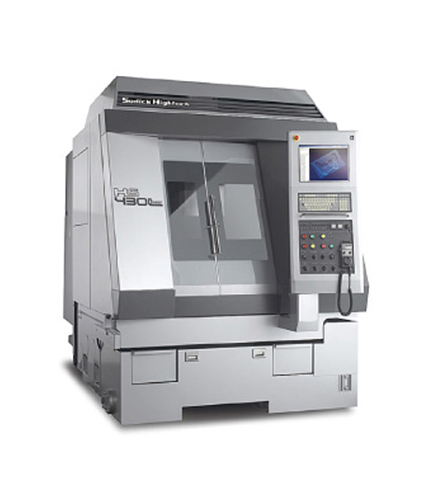 HS430L-Linear motor driven high speed milling center suited for wide range of materials; Ideal for milling ultra-high precision components and molds. Based on years of experience with over 20,000 linear EDM machines, Sodick is presenting a new generation of high-speed machining centres with linear motor drives in all axes. Main features like high acceleration rates > 1.2G and high speed feeds (36m/min) with Linear Motor Axis Drives, Glass scale feedback, Sperodial Castings, 40,000 rpm Oil-Air Spindle, K-SMC Motion Controller, Control Technology with LN2X CNC comes equipped with SEPT (1,000 block look ahead feature) to achieve the high speed, high accuracy and fine surface finish machining.